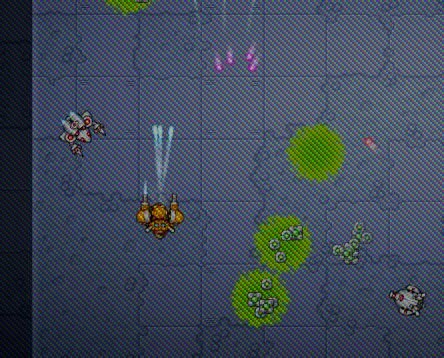 This update improves upon the original with new graphical effects and an added ability for the player to toggle their firing modes. Now you can switch between synced and alternating fire modes allowing you to choose between accuracy and rate-of-fire as best fits the situation. 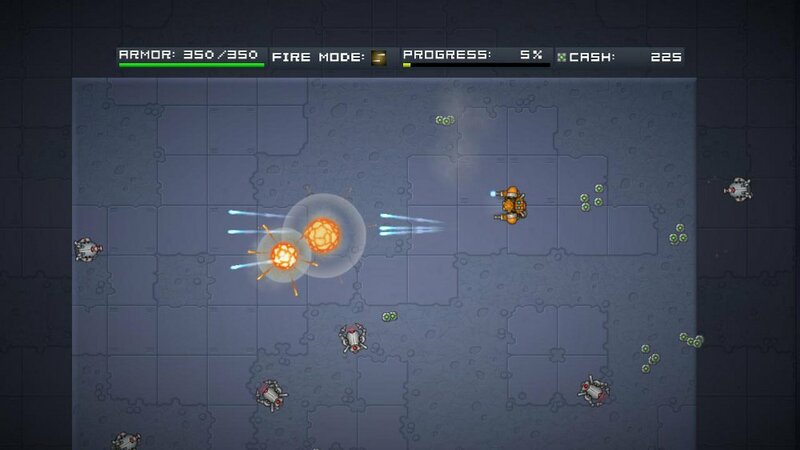 New visual effects in this version are bullet trails, smoke from explosions and a new vignette shader effect. 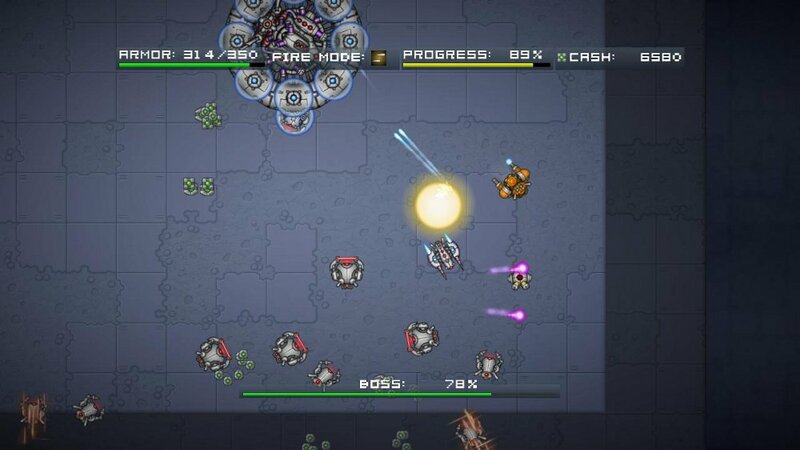 These new effects can be toggled on or off in the options menu for people who prefer the original look of the game. 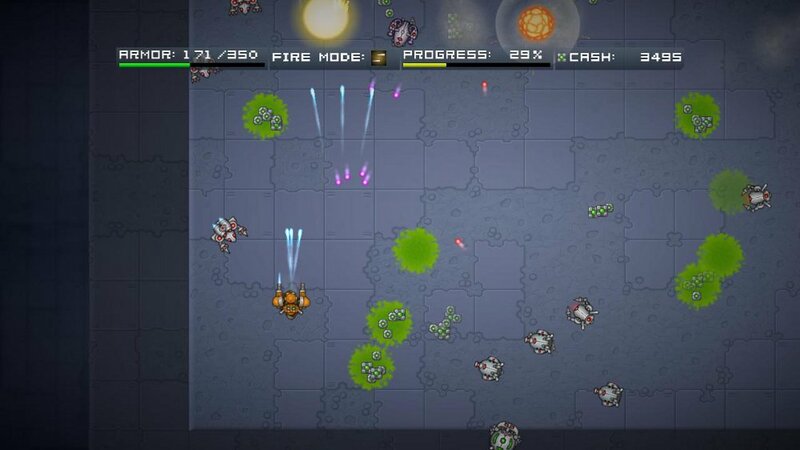 Robot Legions, available now on Xbox Live Indie Games.